Updated 9th August 2010 : Received news from MMU organizer that all seats been taken up on last Thursday! thanks for the support and looking forward to meet up with all of you! 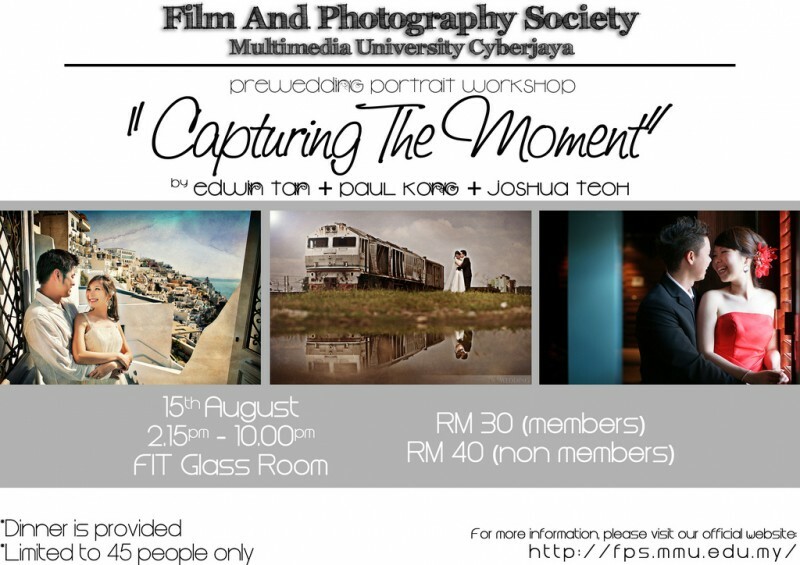 With the good response on the talk in MMU (Memoirs Photography Exhibition) organized by Film and photography Society, Multimedia University Cyberjaya , here we are now together with Paul & Joshua, a workshop on prewedding portrait on 15th August 2010. Beside, we will be having an outdoor prewedding photography session in between the workshop with the great support from gown from Pretty-In-White and make up artist Ms Remy Ngan. Looking forward to this special event.. see ya! !